Matrix OZIK TPHD was born from our desire to bring together the world's finest materials, state-of-the-art design techniques, obsessive craftsmanship, and to mesh them into "the only one" - the world's most unique performance shaft. 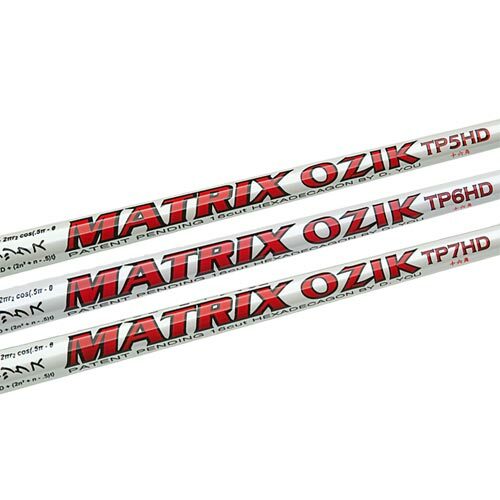 The Matrix OZIK TPHD is the only shaft with Interply technology combined with the HD internal structure. The internal HD structure is made more consistently uniform than a circular design, thus reducing the need for specific orientation during installation. In terms of performance, shafts with the “HD” label will produce flatter, more piercing Tour-type ball flights, and a more stable and crisp feeling.